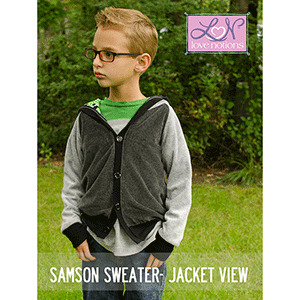 The Samson Sweater will be a staple for your boy's fall and winter wardrobe. This shirt has a comfy fit with two shirt hem options, an optional hood, elbow patches, breast pocket as well as the option to turn it into a button or snap down jacket! Depending on fabric, this shirt can be dressed up or down. 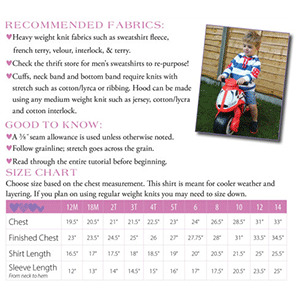 This is a quick sew that's great for beginners as well as advanced sewists alike. Make this classic style your own! 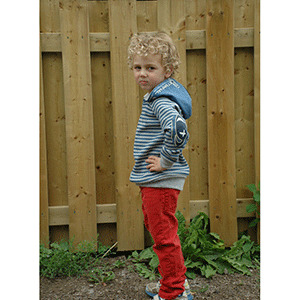 This pattern is available in sizes 12M to 14. 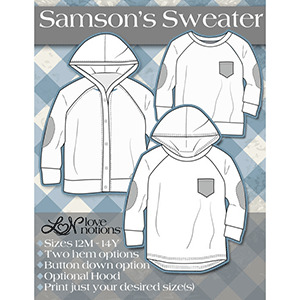 Suggested fabrics are sweatshirt fleece, ponte de roma or french terry.